Who needs this WordPress Website Design Birthday Cake Recipe? I am a freelance Website Development and Web Marketing professional, working exclusively in WordPress, the number one Content Management System on the market today. Over 50% of new websites today are built on the WordPress Platform, and there’s a multitude of reasons why this is so. The WordPress platform allows the developer to build in requested features in a modular fashion, using the huge array of “plugins” available. A plugin is simply a “block of functionality” that can be integrated into the website, to add or increase features. This modular approach gives the client as much functionality as they need to start, and then incorporate more as requirements grow with the company. WordPress has multi-user/role capability, so the addition and management of content can be performed by various people in the organization. There is a huge WordPress User Community, so support and information forums are plentiful. Along with this flexibility and almost unlimited functionality comes a great deal of complexity. If your WordPress developer /designer isn’t at least familiar with all of these components, and know how to address and manage them, the chances of your website being effective at promoting your business and presence on the web is quite small. You want your website to look good AND actually WORK for you. All of the pieces and parts must be configured and coordinated to work with each other, otherwise you will get less than you are expecting. Far less. 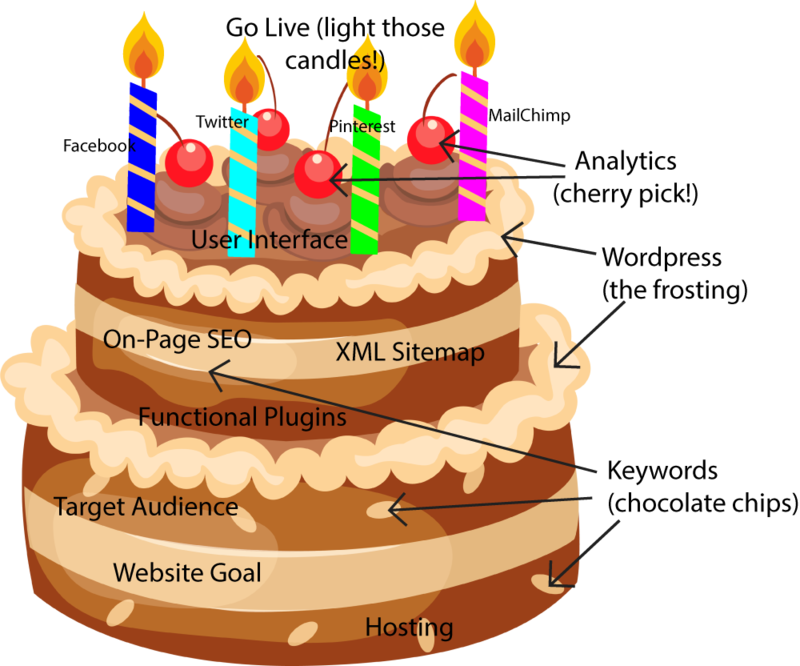 WordPress Website Development Solution – How to have your birthday cake and eat it too. Building a great website is a bit like creating a birthday cake, it looks good, tastes good, and provides an important function. It promotes a message to your friends that you’ve survived another year, or for that first Birthday, a huge welcome. It’s a celebration of you, and so should be your website. Here’s the recipe! Choosing, Setting up and Managing Hosting – take the time to do your research and choose based on your requirements and budget. Your website needs to be “served” from a hosting provider. The server is where the website content physically exists. There are many tasks that need to be done to ensure that your server and file system is “set up correctly”, is “secure” and “maintained“. You may also want to have email served from your domain, e.g. 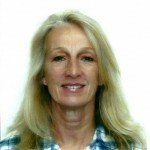 janet@janetschaper.com. You need a developer who is experienced with “cPanel” or whichever tool s the hosting provider makes available to manage email, the domain name, and the file system. Many website developers hide all of this from their clients because it is quite technical and not everybody’s cup of tea. But your developer needs to know what they’re doing so that your website operates and performs smoothly. I recently gained a client whose website had been turned off to Google Search Engine by their original developer, with a directive in the robots.txt file which told Google not to index the site! There are many choices for types of hosting, and there are trade-offs between how much the service costs, and how much of the maintenance and support are managed by the hosting provider themselves. At the top of the food chain (and the most expensive) are hosting providers like WPengine, who provides managed WordPress hosting that takes a lot of work off of the developers plate. Most hosting providers are jumping on the band wagon and providing “managed WordPress Hosting”, but they are not all equal, and some of them take away the flexibility of tuning your website and its performance. Don’t make the mistake of assuming that your hosting provider is taking care of “backups”, “security”, “performance” and file system and email management. If you aren’t buying the top of the line Managed WordPress Hosting, you must be well versed in cPanel. Some hosting providers like GoDaddy offer a cheap “Managed WordPress Hosting” service, but then they take away the access to cPanel, which is honestly NO GOOD for you as a developer. Every time you need to have access to the file system, sorry. I prefer the cPanel access type account, so that I can take care of my own server. Maker sure you understand what you are getting with that “cheap hosting” account. There is also the concept of having a “Staging Site” and a “Live Site”. This is great for the clients who can’t afford for their website to be down while changes and upgrades are made. So we develop on the “Staging Site”, and then promote the changes to the “Live Site” with little to no downtime. This topic is worth an entire blog post, so you will see more from me on this subject very soon. Lots of traffic to the site doesn’t always correspond to an increase in business. It needs to be “targeted traffic”, visitors who will buy your products, hire you for services, or join your subscriber list. The marketing term for this is “conversions”. A visitor converts when they buy your product, hire you for services, or subscribe to your blog/membership. Simply stated, you need to define the market segments to which you are selling/promoting. Did you know that one of the MOST IMPORTANT Google Search metrics is “Click Through Rate”? That’s right, the more people that click through to your site after it shows up on a Google Search Engine Results Page (SERP), the higher you will rank! If your website doesn’t target the right audience, folks will NOT click through to your site. It really helps to know how visitors to your website will use the website to find the information they want quickly and easily. Make sure you have at least 2 intended “user scenarios” defined, so that you can architect your content and user interface accordingly. Defining Keywords and Keyword Phrases (Topics). DO NOT SKIP THIS STEP!!!! Search Engine Optimization (SEO) is all about keywords and keyword phrases, and building and organizing your content to leverage them. These are the words your prospects will be typing into Google when they are searching for your product/service/business. The time to define keywords is BEFORE you begin building your website content, not AFTER! Your content needs to be structured around, and peppered with your keywords. Folks who believe SEO happens after the website is built are missing the boat. Sure, you can continuously re-optimize your website to improve your Search Engine Visibility based on analyzing its performance and visitor profile, but you should have a good base to start with. Keywords can be used in URLs, images, page content, and the “behind the scenes” so called “meta tags” which aren’t even visible on your website. But they are visible to Google, so they need to be built in from the get-go. I prefer using Google Keyword Planner, and SEMRush to determine the best keywords for my client, based on their market niche, their differentiation in the marketplace, and their target audience. There are many other tools to use, find which ones you like, and then make use of the wealth of information that they provide! Next step: Building the Cake Layers! My next blog post will continue with the recipe. Check back in a week to get the rest of the recipe. Subscribe to my blog to be notified by email when the next post comes out. Don’t get stuck with a half baked cake! If you want more detailed information, feel free to contact me using the contact form in the sidebar, I am a master baker.